Hosting weddings at country clubs have been popular for decades due to the classically beautiful setting these venues offer. For some reason, though, a number of myths circulate about why you shouldn’t choose this type of venue to hold your wedding at. Here, the staff from Argyle Country Club in Silver Spring, MD, discusses and dispels these rumors. Members Only: Some people avoid hosting their event at a country club because they believe they must be members to do so. However, you do not need to have a country club membership to plan your wedding or another special event at Argyle Country Club. Everyone can utilize this convenient, beautiful space. To ensure you can secure your date, though, book well ahead of time. Steep Prices: Since some country clubs have elegant, immaculate features like grand banquet rooms and sprawling rose gardens, many people tend to perceive them as expensive. In reality, affordable country clubs are competitively priced venues, especially since they offer many of the resources an event needs, like chairs and tables. Uninvited Guests: Some people falsely believe that any country club member can show up at a wedding hosted there. In reality, when you book a country club wedding, you control the guest list as well as the space. When you host your event at Argyle Country Club, the more than 5,000 square foot clubhouse and beautiful surrounding garden is all yours. Rules & Regulations: Country clubs often get mistaken for being strict. In reality, there are no more rules or regulations for your event than there would be at any other venue. The staff at Argyle Country Club wants everyone to safely and happily use their space. 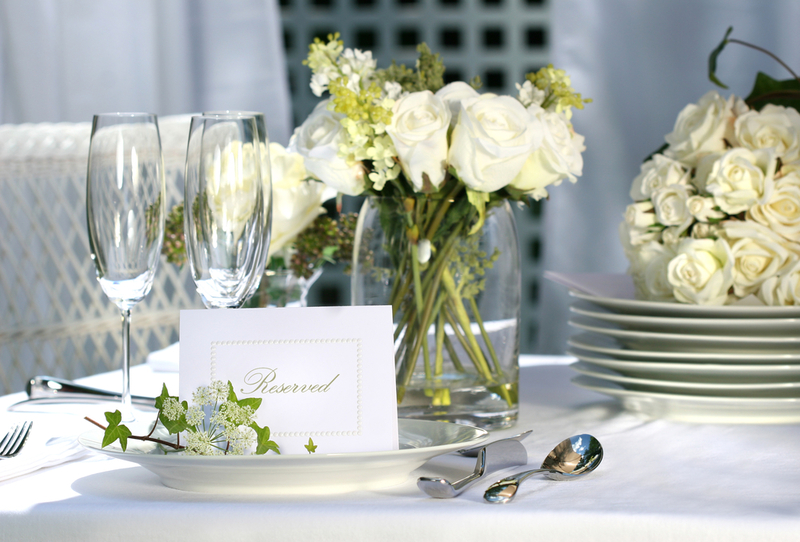 For a beautiful, memorable wedding, consider hosting your special day at Argyle Country Club. To learn more about their catering and special event services, visit the website or call (301) 598-5500.